Perfect Mother’s Day gift! 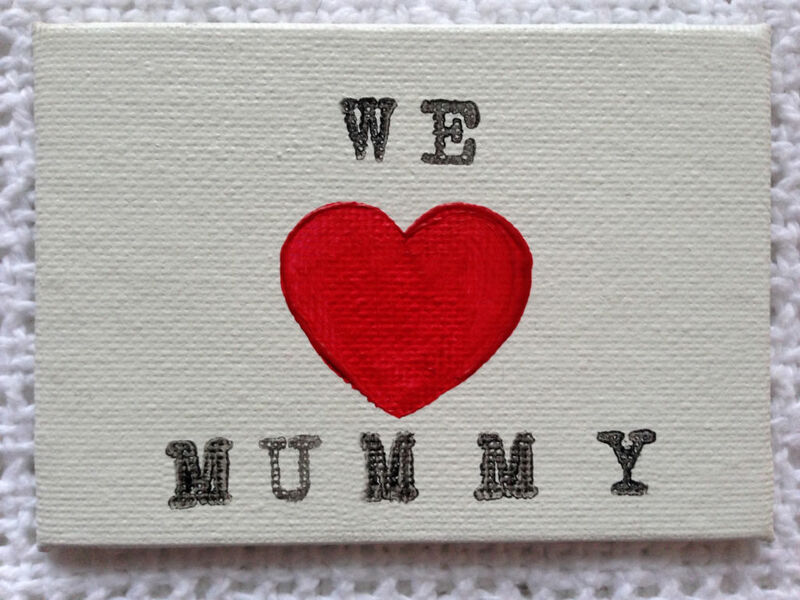 A funky, imaginative and personalised gift to show Mummy how much you love her. 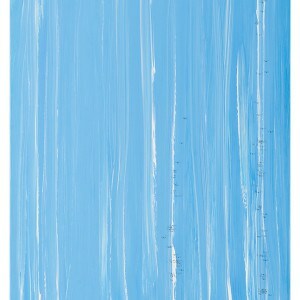 3.5 x 2.5” canvas board with magnet attached at the rear. 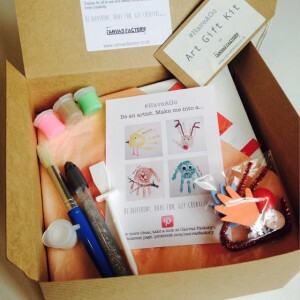 Made with love and beautifully gift wrapped! Click on image to see full scale of item. 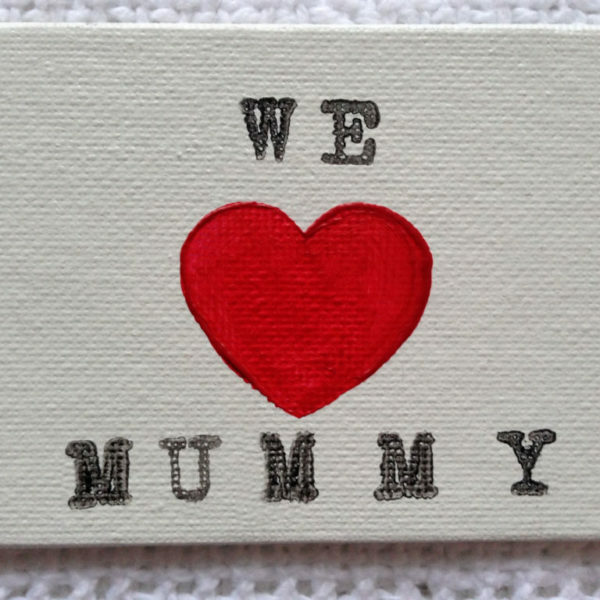 Show Mummy how much you love her, with a funky fridge magnet! 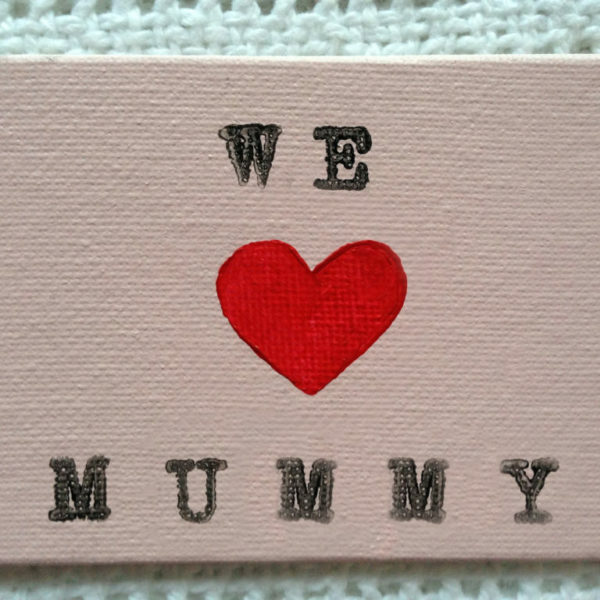 An inspired gift for any wonderful mummy. 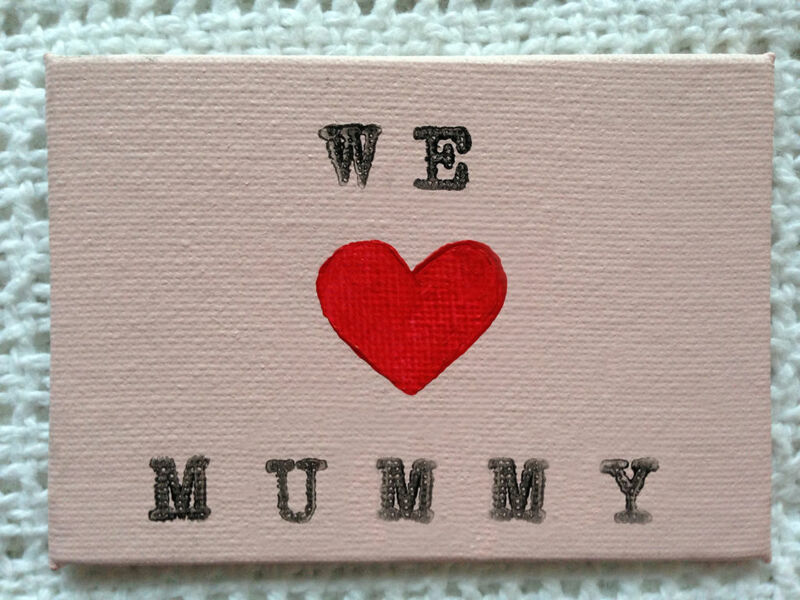 Personalised, painted canvas-board magnets, all hand made to order. 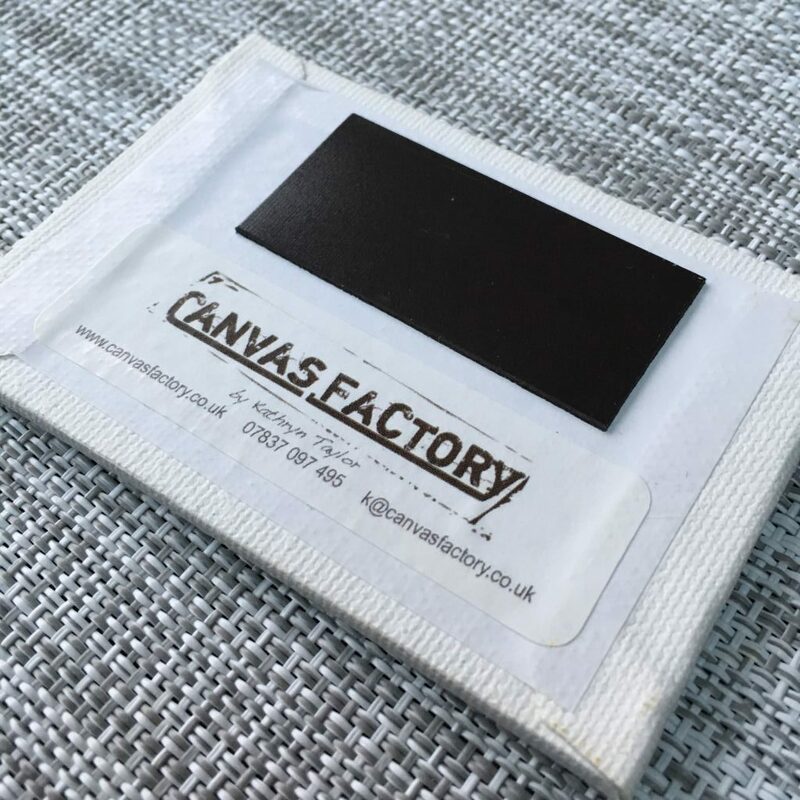 Spray painted in a choice of acrylic colours, these lightweight 3.5 x 2.5″ canvas boards are hand finished by the artist with the addition of a magnet, secured at the rear. 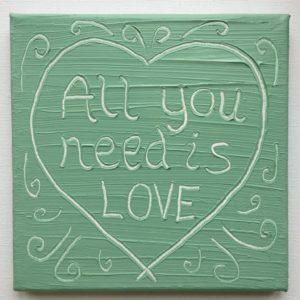 The wording is stamped with ink or hand written in beautiful 3D paint pen. Magnets are embellished here and there with decorative beads and buttons. Embellishments will be selected by the artist and may vary from what you see above – please specify if you have a particular request. 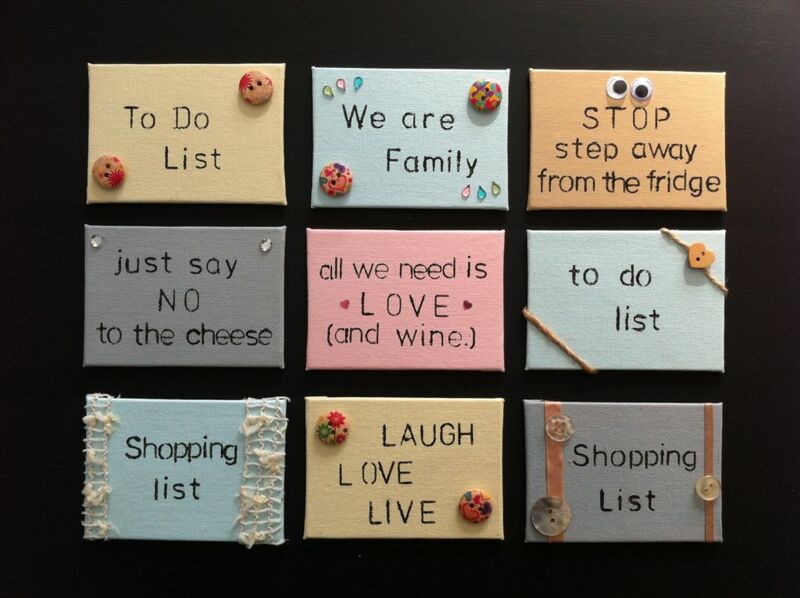 See all the other fridge magnet designs here! Any wording you want! 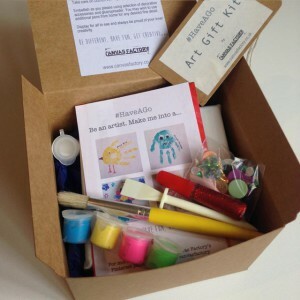 * Select Design Your Own Fridge Magnet and get scribing! 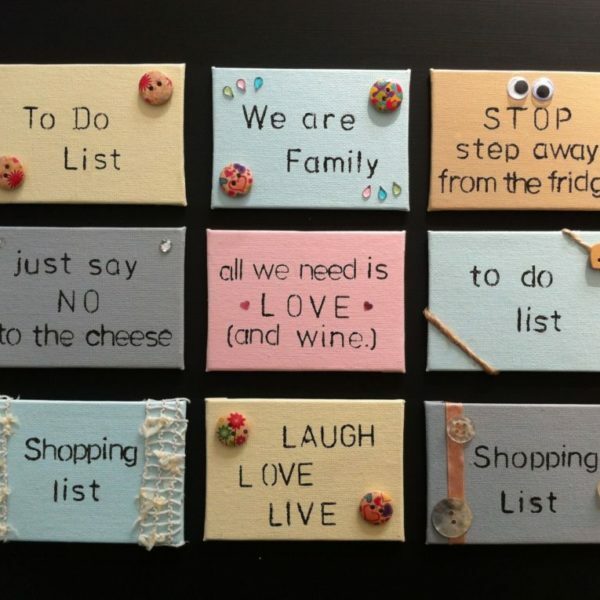 Magnets make great, fun gifts that can be proudly displayed for all to see every day. 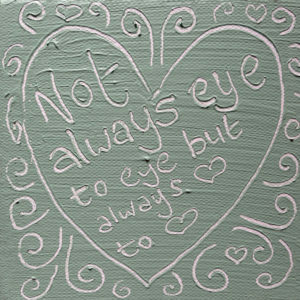 Available in a fabulous choice of beautiful bright and pastel colours, you can personalise your fridge magnet by choosing a paint colour and adding your own words. Go on, have fun with it! 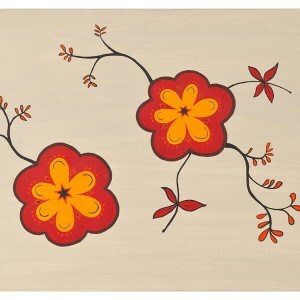 * All embellishments are selected by the artist to compliment your colour choice and all are subject to availability. If you have specific requests, please specify in ‘order notes’ when adding to cart.